Over the weekend President-elect Donald Trump took a phone call from the President of Taiwan. The move set off a mainstream media firestorm of criticism, with many news anchors and pundits warning the acceptance of the call could damage U.S. relations with China. China's response has been muted and non-hysterical.This brings us to an important reminder. The outrage from the same media players panicking over Trump's call with Taiwan was absent. In fact, Obama's move was praised, called "historic," and he was given credit for trying to work with the regime. President Barack Obama and new Iranian President Hassan Rouhani spoke by telephone on Friday, the highest-level contact between the two countries in three decades and a sign that they are serious about reaching a pact on Tehran's nuclear program. The call is the culmination of a dramatic shift in tone between Iran and the United States, which cut diplomatic relations with Iran a year after the 1979 revolution that toppled U.S. ally Shah Mohammad Reza Pahlavi and led to the U.S. Embassy hostage crisis in Tehran. 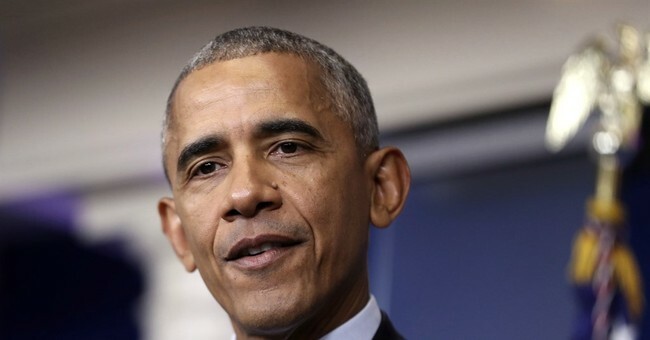 Obama has said for years he was open to direct contact with Iran while also stressing that all options - including military strikes - were on the table to prevent Iran building a nuclear bomb.